Do you have questions about the safety of whey protein? Clear your doubts now about top 6 whey protein myths. Whether you are a beginner or a pro in fitness, whey protein is a must have protein supplement for you. Derived from cow's milk, whey protein has PDCAAs (Protein Digestibility Corrected Amino Acid) score of 1.0. This implies that whey protein digests quickly and is well-absorbed by the body. Essential amino acids, particularly BCAAs (Branched Chain Amino Acids) in whey protein assist muscle recovery after an intense workout. Whey protein is blended with special ingredients, like multivitamins, creatine to serve the specific needs of gym goers and muscle seekers. Yet, this staple of bodybuilders attracts controversies and at times ignorant fitness enthusiasts wonder is whey protein safe for them. It is even wrongly believed as a steroid. Whey protein is as safe as cow's milk. Read to clear your doubts and find how whey protein is a superior source of protein, as compared to other proteins by separating whey protein myths and facts. Your body needs 22 amino acids for optimal functioning. The body makes 13 amino acids on its own. The rest are essential amino acids and they come from foods. The presence of essential amino acids in a protein food is an indicator of the quality of a protein food. All proteins are not equal! The foods that provide essential amino acids, such as non-vegetarian foods are complete proteins, whereas vegetarian foods are incomplete sources of protein. This doesn't imply that a vegetarian protein food is inferior, rather it requires to be supplemented with another protein food. But, whey protein is a complete protein as it provides all 9 essential amino acids required for muscle tissue repair and recovery. It digests quickly which makes it a superior source of protein for fitness enthusiasts. This is the biggest myth of all. Whey protein is a dairy-derived protein. Cow's milk has two protein components: casein and whey. Casein is cottage cheese and whey is the left-over liquid after separating cottage cheese from the milk. Both have PDCAAs score of 1.0. FDA, WHO in 1993 decided PDCAAS Protein digestibility-corrected amino acid score (PDCAAS) as the best method of evaluating protein quality based on the amino acid requirements of humans and their ability to digest it.1.0 is the highest PDCAAS score awarded to a protein source. The world of whey protein exists beyond smoothies and shakes, but many fitness enthusiasts mistakenly believe in the biggest myth on whey protein that cooking it will denature it. Commercial bakers have been using whey protein in their baked products to enhance browning for a long while. When you cook whey protein, its chemical structure changes and it might take longer to absorb, but the protein content more or less remains the same. Moreover, adding whey protein to your baked stuff is an easy way to improve protein content and nutrition of the dishes in the budget. While baking with whey protein, you need to adjust the recipe and cooking time a bit so that your cakes and muffins remain fluffy, moist. You can easily add a scoop or two of protein powder to your cake mixes, but do increase the quantity of liquid in your cake mix, so that the final output doesn?t appear dry and dehydrated. Kidney stones form when your urine contains crystal-forming substances than the fluid in your urine can dilute. Yet, it is debated whether high consumption of whey protein causes kidney stones. In healthy individuals, there is no conclusive evidence that shows that whey proteins damage your kidneys. Those who are at risk of kidney stones (obese, family history) or have a pre-existing stone should consult a doctor before they start drinking whey protein. To be on a safer side, when you add extra protein shot in the form of whey protein to your diet you should increase your water intake and eat fiber-rich foods. Extra water and fiber help flush the protein byproducts and prevent the formation of kidney stones. 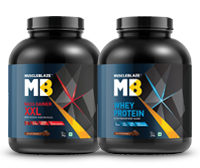 Moreover, choose a high-quality protein that absorbs completely, sourced from whey protein isolate, like MuscleBlaze Whey Protein and follow the recommended usage. Do not overdo whey protein supplement and get a balanced nutrition. Often, whey protein is associated with bodybuilders and endurance athletes focus only on carbohydrate intake. This approach leads them to a catabolic stage, where muscles degrade to provide fuel for workouts. For the initial one hour, the glycogen stored in your liver fuels your workout, but as you enter in the second hour of your exercise, muscle protein in the form of amino acids provides 15 percent of the fuel source. Now, if the endurance athlete doesn?t drink a quick acting protein, like whey, s/he risks losing muscle mass. 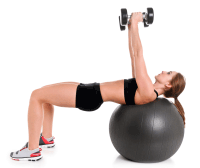 As your lean muscles deteriorate you will experience increased fatigue and a compromised immunity. Moreover, the loss of muscle mass will even hamper your rate of recovery. Whey protein helps prevent muscle loss and improves stamina during endurance sports. Choose a whey protein that is fortified with multivitamins, like MuscleBlaze Whey Energy to improve your metabolism, recovery and reduce muscle loss. Protein is a hard to digest nutrient. Therefore, you remain sated for a long duration after having a protein-rich meal. Gas or flatulence may affect you if your whey protein lacks digestive enzymes. The benefits of digestive enzymes are improved nutrient absorption rate of foods and relief from chronic gastrointestinal discomforts, such as bloating, cramps and diarrhoea. Constituted of protease, amylase, lactase, cellulase and lipase, digestive enzymes improve the rate of absorption of whey protein. Also, read the label carefully for the source of your whey protein. Additional whey protein isolate in your whey protein minimizes lactose content, thereby reducing gas and bloating after drinking a whey protein shake. Choose a protein, like MuscleBlaze Whey Protein with DigeZyme and whey protein isolate to reduce discomfort related to gas. Of course not! Whey protein is a complete protein and a quick-acting one. It is useful after a workout as it metabolises faster than other proteins having 1.0 score (casein or soy) and rushes to the muscle tissues to instigate the process of muscle repair and new muscle synthesis. No ways, does this imply that women will beef up after having whey protein supplement, because women have an extremely low level of testosterone, the essential muscle building hormone? Owing to the low level of testosterone, if women lift heavy weights, still they will not grow big and muscular. At the best, they will develop a firmer muscle tone and leaner muscles, which will help offset the effects of ageing. EARLY MORNING: When you sleep your body enters into a starvation mode for 7-8 hours. Having a whey protein shake early in the morning prevents the body from attacking the muscle cells to fuel metabolic functions. POST WORKOUT: After your training session, your muscle tissues undergo microscopic tears and injuries. A whey-protein shake immediately after your workout stimulates fast recovery of muscle cells and allows you to build stronger and bigger muscles. IN-BETWEEN-MEALS: The secret to preventing catabolism is to remain in a positive nitrogen balance and for this, you need to drink whey protein in between meals. AT BEDTIME: After you have hit the sack, your muscle tissues work overtime to repair and rebuild your muscle cells. A whey protein shake at bedtime will provide your muscles the necessary fuel, such as amino acids to carry their repair work. You can choose your protein time as per your convenience, but drink 1-2 protein shakes in a day. Also, remember that your protein shake by itself, without proper workout and diet will not give you the body you have wanted. Know which protein foods to include in a vegetarian diet. Is your whey protein right for you? Sangram Chougule guides you how to choose the right whey protein.